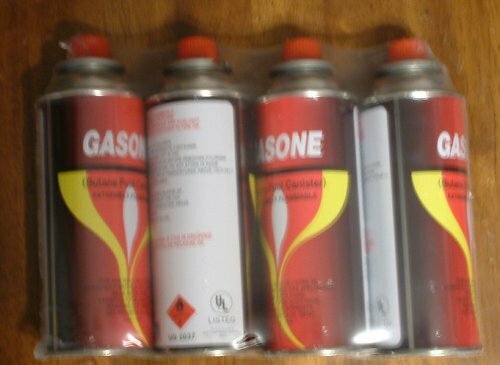 Outdoor Camping Stove Conversion Head Convert Adapter Nozzle Gas Bottle Screw for Long Butane Gas CartridgeCategory: Butane CartridgePlease note, this item ships from an international seller. Expected delivery is 10-15 days. International ShippingThis gas convert adapter is made of aluminium alloy, copper and plastic material, compact and durable. It is equipped with check valve and perfect lock system for safety. Suitable for most of outdoor stoves.Features:Made of aluminium alloy, copper and plastic material, compact and durable.3.5cm inner diameter and 4cm outer diameter.Equipped with check valve and perfect lock system for safety.Connects stove onto the long butane gas cartridge.Suitable for most of outdoor stoves.Specifications:Material: Aluminium alloy + Copper + NylonInner Diameter: 3.5cm / 1.38inOuter Diameter: 4cm / 1.57inHeight: 2.8cm / 1.1inItem weight: 48g / 1.69ozPackage size: 10 * 7 * 2.8cm / 3.94 * 2.76 * 1.1inPackage weight: 50g / 1.76ozPackage List:1 * Gas Convert AdapterNotes:This gas convert adapter need to be used with long butane gas cartridge, but the butane gas cartridge is not included in the listing.Please allow 1 - 2cm (0.4 - 0.8") differences due to manual measurement, thanks. 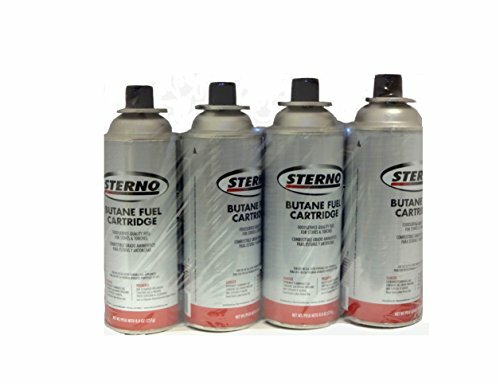 Sterno 50190 8-Ounce Butane Fuel Cartridge with Temperature Sensing Valve, 12-PackCategory: Butane CartridgeThe Sterno 50190 8-Ounce Butane Fuel Cartridge with Temperature Sensing Valve 12-Pack provides the fuel efficient heat source you need and the safety features you deserve. 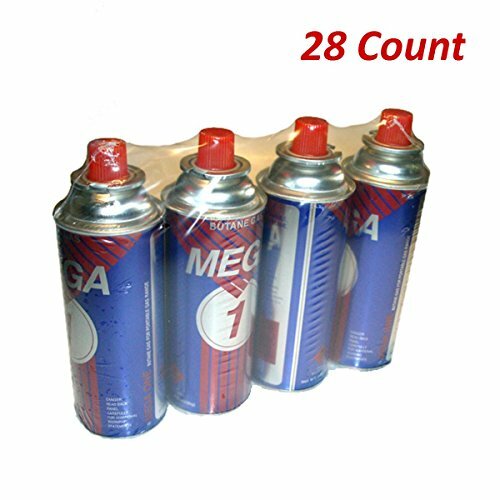 Ideal for entertaining and catering, each 8-ounce butane cartridge supplies up to 4-hours of steady, clean burning performance and features a unique dual safety system for peace of mind during operation. 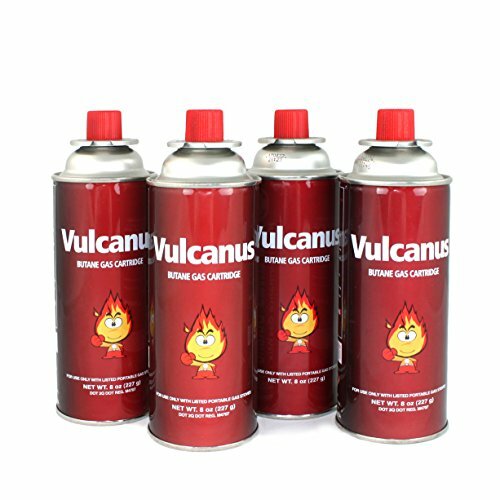 The Temperature Sensing Valve (TSV) automatically shuts off the flame if the stove is being misused or is in danger of over heating and the Rim Vent Release feature (RVR) protects unused cans against over-pressurizing. 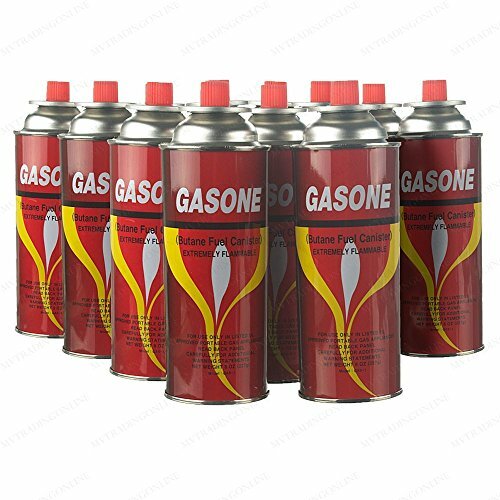 The Sterno 50190 Butane Fuel Cartridge comes in a ready for use 12-Pack and is compatible with all Sterno Butane Appliances. For over 100 years the Sterno name has been synonymous with quality and performance in home entertaining, camping and emergency preparedness. Today Sterno delivers the most comprehensive line of portable warming, emergency illumination, butane appliances and catering products to the retail market. We share our customers’ commitment to the environment and continually strive to improve our manufacturing and marketing practices to reduce our impact on the earth. Our iron-clad commitment to excellence ensures perfect performance every time. 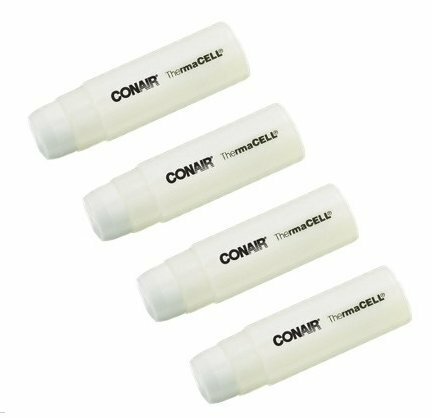 Conair ThermaCell Butane Refill Cartridges 2 eaCategory: Butane CartridgeThermacell refill cartridges fit all thermacell brand curling and styling products and provide instant power to your curlers, straighteners and dryers. just remove the protective end cap of the cartridge, slide the cartridge into the handle and screw it in by turning it clockwise until it is snug. itâs that easy! get on the spot power to style your hair at your own pace. 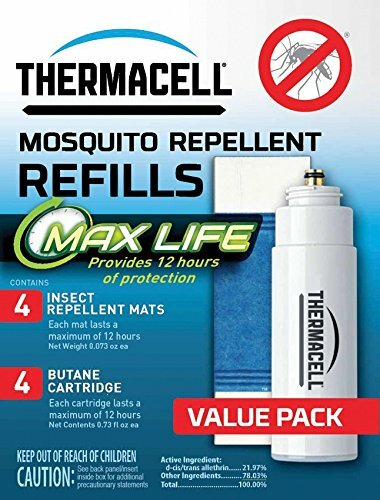 2 Pack - Conair ThermaCell Butane Refill Cartridges 2 eaCategory: Butane CartridgePack of 2 for the UPC: 074108033987Thermacell refill cartridges fit all thermacell brand curling and styling products and provide instant power to your curlers, straighteners and dryers. just remove the protective end cap of the cartridge, slide the cartridge into the handle and screw it in by turning it clockwise until it is snug. itâs that easy! get on the spot power to style your hair at your own pace. 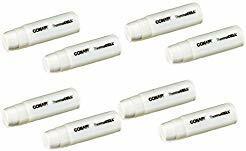 6 Pack - Conair ThermaCell Butane Refill Cartridges 2 eaCategory: Butane CartridgePack of 6 for the UPC: 074108033987Thermacell refill cartridges fit all thermacell brand curling and styling products and provide instant power to your curlers, straighteners and dryers. just remove the protective end cap of the cartridge, slide the cartridge into the handle and screw it in by turning it clockwise until it is snug. itâs that easy! get on the spot power to style your hair at your own pace. 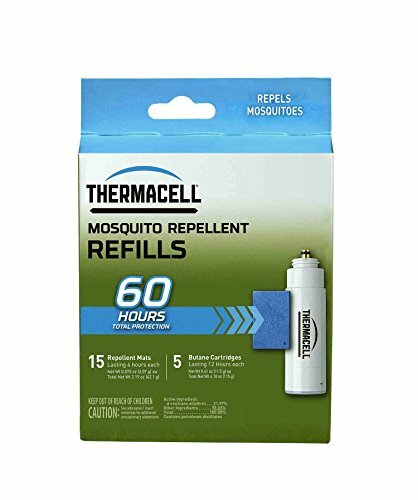 3 Pack - Conair ThermaCell Butane Refill Cartridges 2 eaCategory: Butane CartridgePack of 3 for the UPC: 074108033987Thermacell refill cartridges fit all thermacell brand curling and styling products and provide instant power to your curlers, straighteners and dryers. just remove the protective end cap of the cartridge, slide the cartridge into the handle and screw it in by turning it clockwise until it is snug. itâs that easy! get on the spot power to style your hair at your own pace. 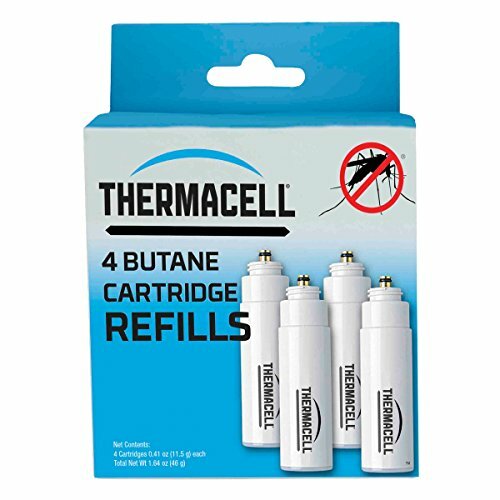 4 Pack - Conair ThermaCell Butane Refill Cartridges 2 eaCategory: Butane CartridgePack of 4 for the UPC: 074108033987Thermacell refill cartridges fit all thermacell brand curling and styling products and provide instant power to your curlers, straighteners and dryers. just remove the protective end cap of the cartridge, slide the cartridge into the handle and screw it in by turning it clockwise until it is snug. itâs that easy! get on the spot power to style your hair at your own pace. 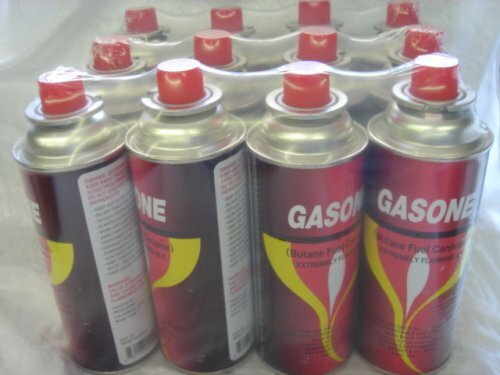 How to set up, install butane canister and use a portable butane stove.